Royal Palm Charter school recognizes the need to provide developmentally appropriate and challenging educational services to meet the unique needs of our gifted students. Gifted students are provided differentiated instruction to meet their educational, social, and emotional needs. The goal of the gifted program is to extend students’ learning, develop individual potential, enhance their self-concept, and become life-long learners. At the elementary level, curriculum is enhanced and extended by a gifted resource teacher through resource time for the students and collaboration with the general education teacher. Our elementary gifted students participate in a full-day program with the gifted resource teacher one time per week. The gifted curriculum is based on interdisciplinary thematic units that focus on science and social studies topics, while integrating language arts, math, fine arts, and technology. We focus on many STEM (Science, Technology, Engineering, Math) units throughout the year to motivate and engage students. In addition, students are engaged in creativity and problem solving activities on a weekly basis. 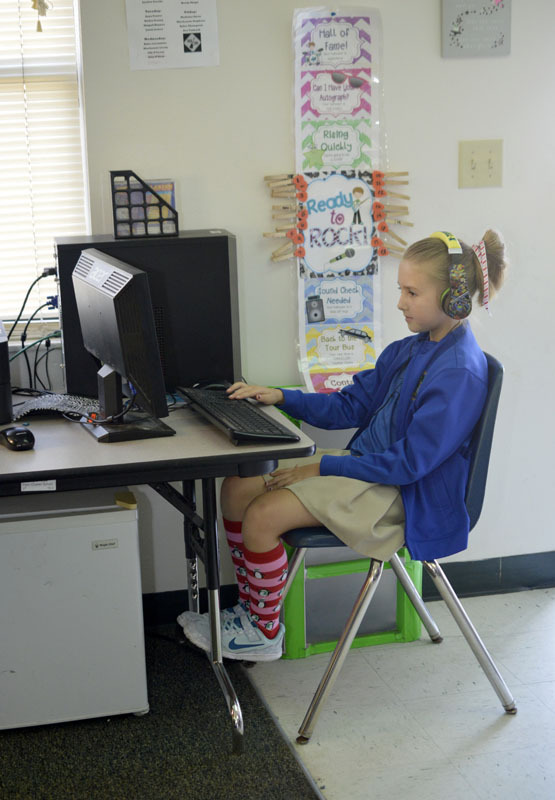 In the Middle school, gifted students are placed into the “gifted homeroom” class in which they participate in creativity and problem solving activities each morning. In addition, the gifted middle school students can choose the “gifted elective” in which they participate in the gifted program daily as their 7th period class. In this gifted elective, students participate in a differentiated instruction to extend, refine, and investigate, in detail, curriculum-based topics of interest. As in the elementary program, the middle school gifted elective students participate in interdisciplinary thematic units with self-selected topics and STEM units embedded throughout the curriculum. Additionally, Middle School students will have a monthly symposium.